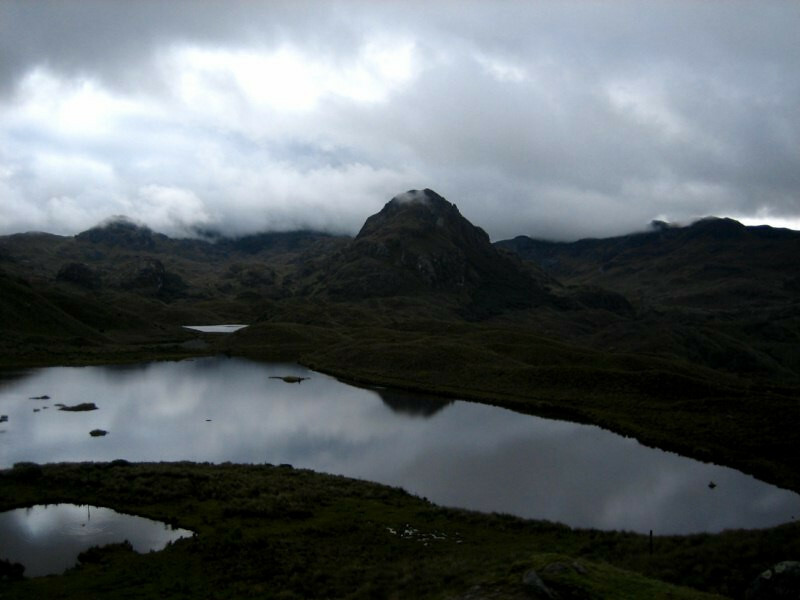 Heading away from the snow-capped mountains and volcanoes, I spent a few days in colonial Cuenca and visited the Cajas National Park before heading for the Peruvian border. 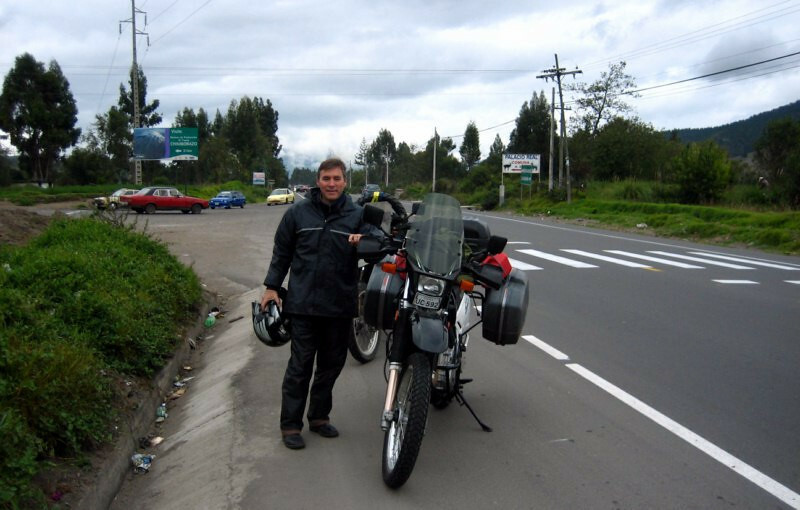 As I was taking a break and warming up back at the Panamericana, Riccardo here pulls up on a 2009 Suzuki DR 650, touring around South America from Santiago, Chile. He had been riding up for 2 months and was now on his way back. 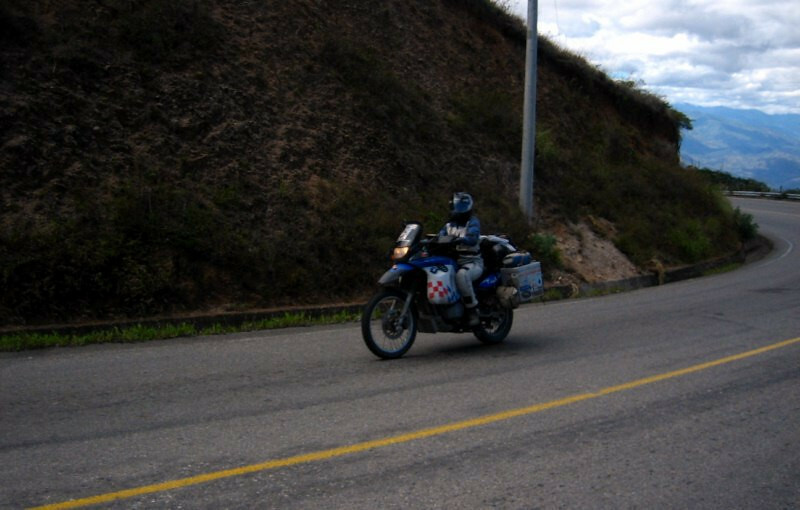 He was also headed to Cuenca for the night, so we rode together. 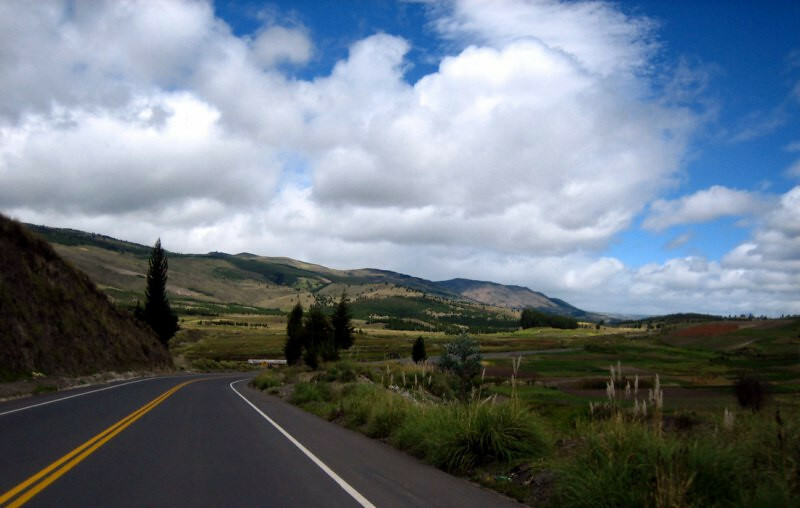 The Panamericana heading south, leaving behind the lofty snow-capped volcanoes. Riccardo sharing his sandwich with me for a spot of lunch near Alausi. The girls getting to know each other. 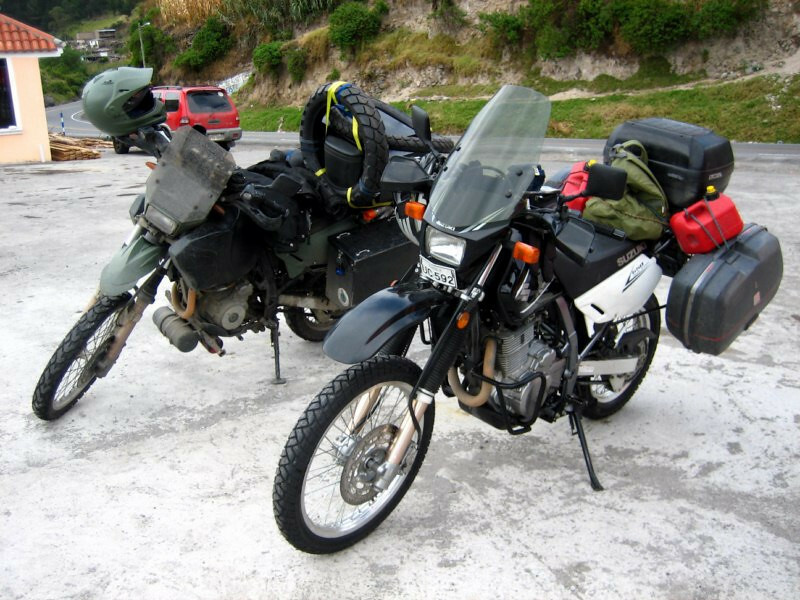 His bike was mostly stock besides an engine guard, windshield and the full Givi pannier set. He was carrying two spare 1 gallon petrol canisters to supplant the stock 3.4 gallon gas tank. He expressed shock at my 9 gallon capacity. 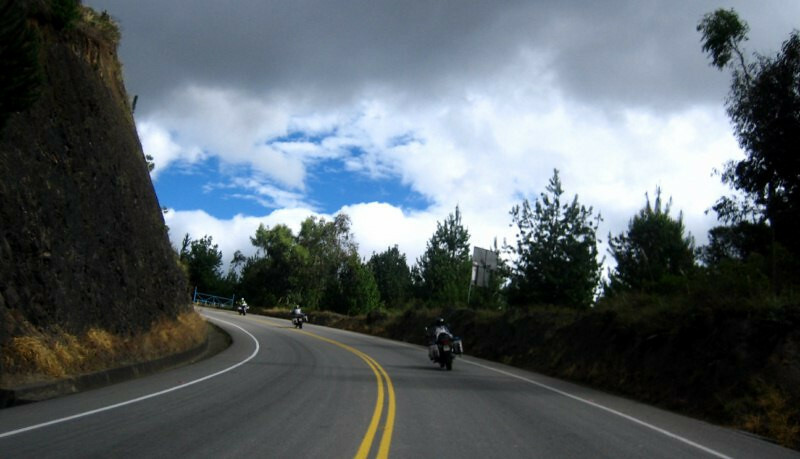 More pleasing riding on Ecuador’s excellent roads. 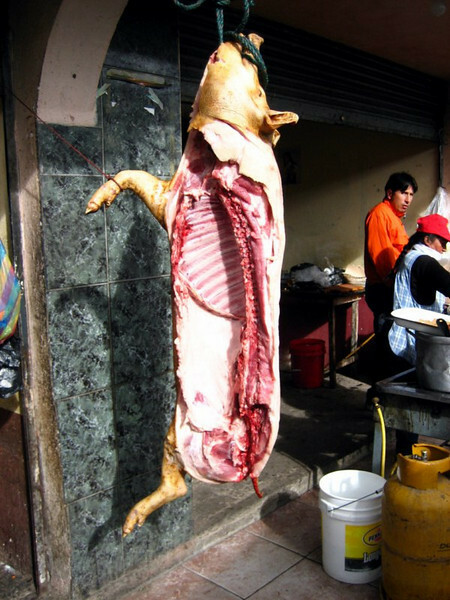 Taking a coffee break and I just had to get a bite out of this juicy pig hanging by the roadside. 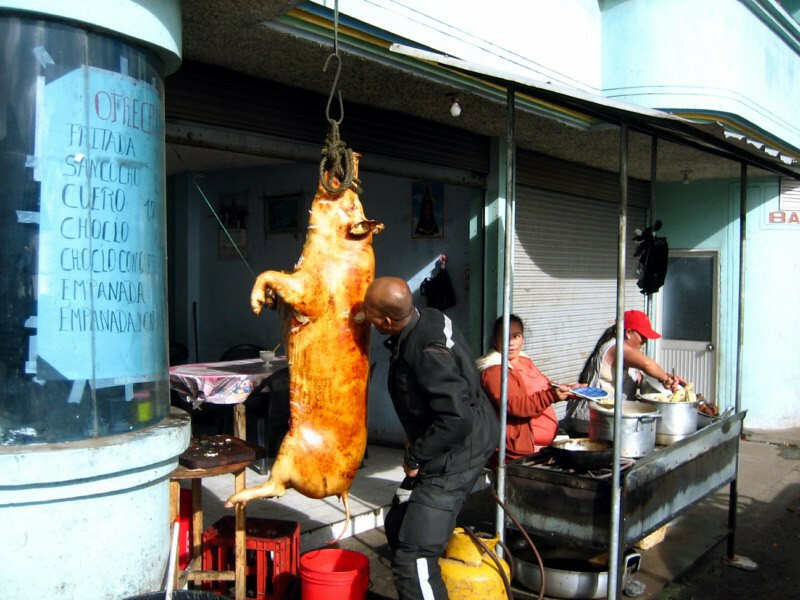 They blaze the exterior of the pig with a blow torch and serve up the meat during the day. You can ask for a specific cut. They said they go through about 2 or 3 pigs a day, with each one costing about a $100 to procure. 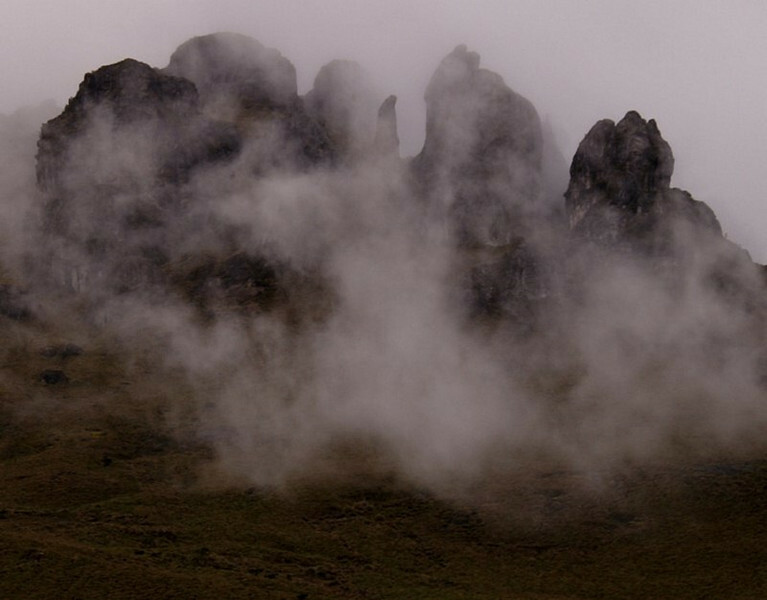 A panoramic view across a valley with low hanging clouds. That gadget on my helmet is my GoPro video camera. I enjoyed riding with Riccardo and he, likewise. 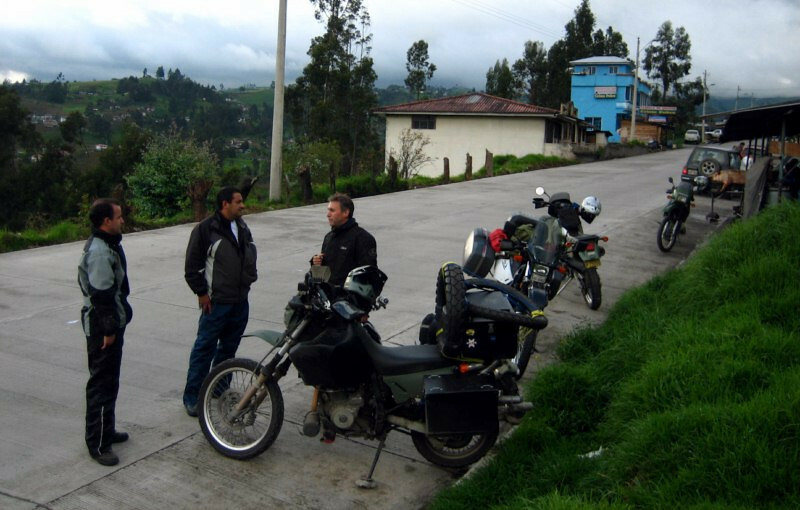 Meeting up with Juan and Pedro about 50 kms (31 mi) north of Cuenca. I contacted Pedro through HorizonsUnlimited and they invited Riccardo to stay, as well. 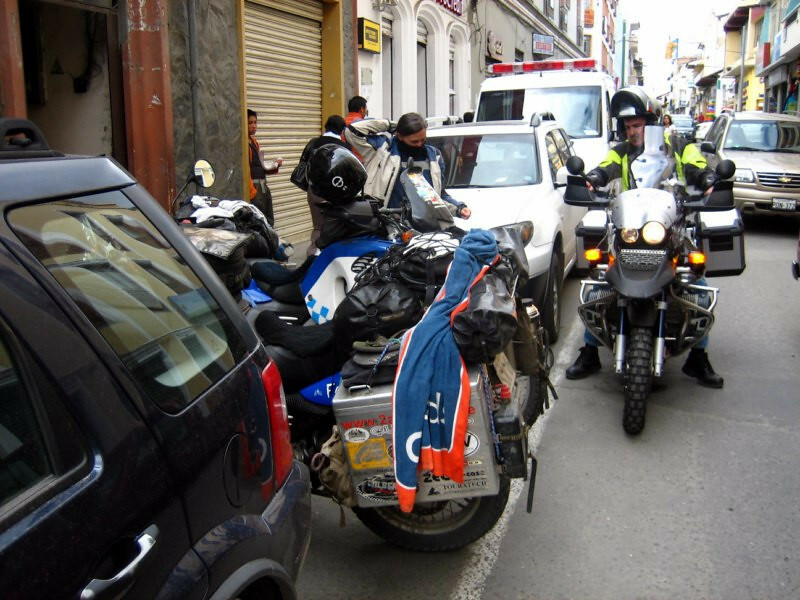 They were riding KLRs and were part of the KLR club of Cuenca. 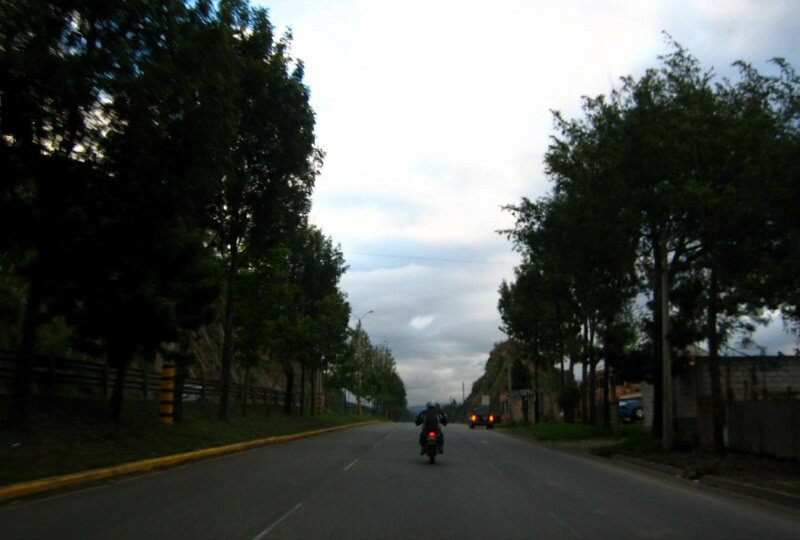 Being escorted into Cuenca as the road widened to a 6-lane highway. Getting an idea of the city from the mirador (lookout). 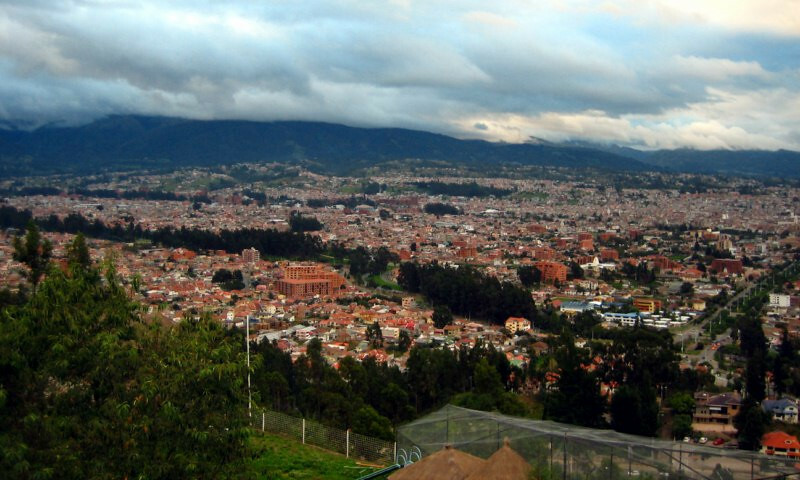 Cuenca is Ecuador’s third-largest city sitting at about 2,500 m (8,200 ft) with a population of around half a million. 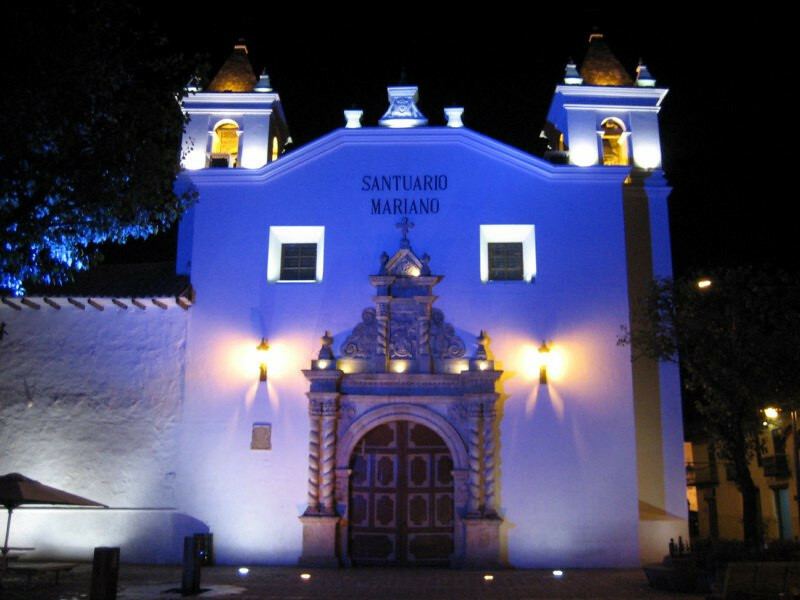 It’s known for its colonial architecture and charming cobblestone streets. 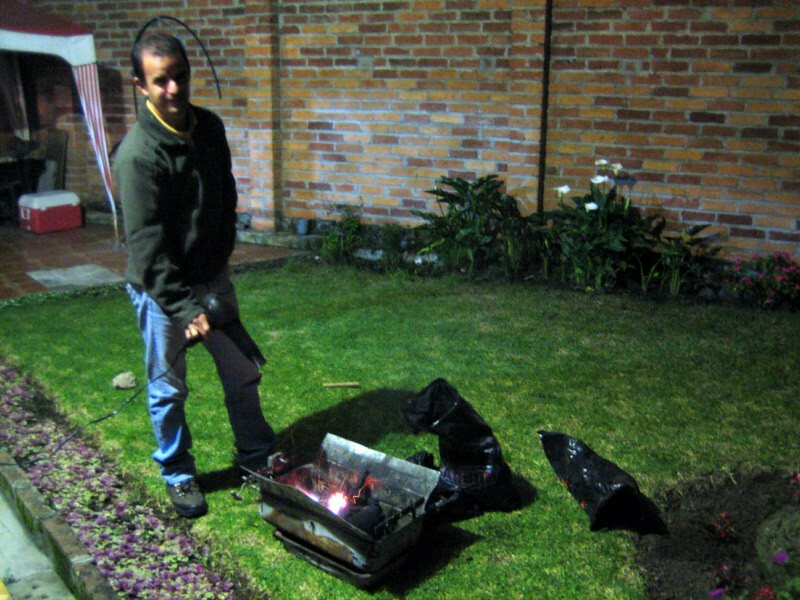 Pedro firing up the grill with the aid of a hair-dryer. 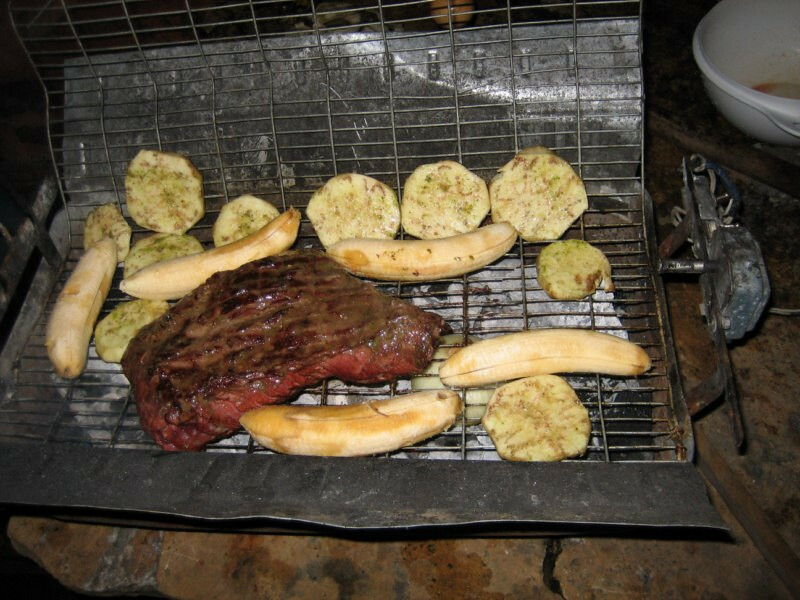 Juan grilled up a big, fat, juicy steak with plantains and arepas. 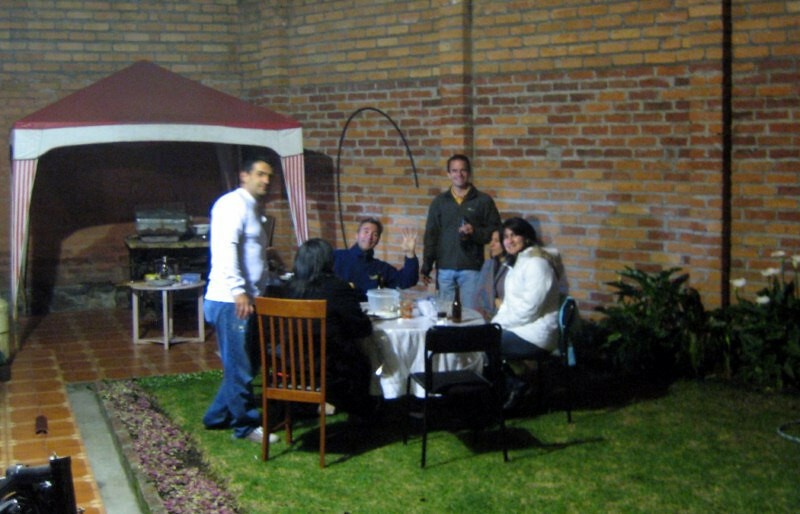 Besides the occasion of welcoming two riders, it was also Juan’s birthday, being celebrated with friends and neighbors. The next morning, I had some maintenance to do. 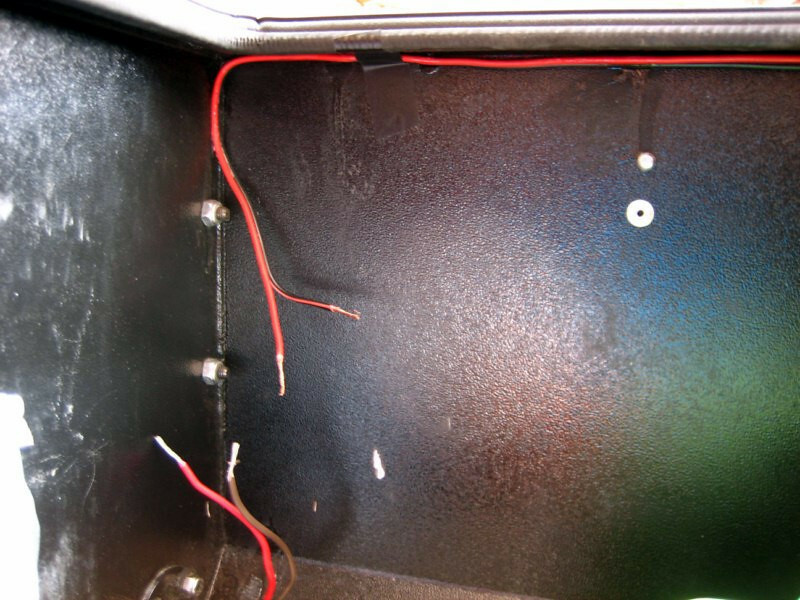 This is in my top box and it’s the wires from the solar panel running to the switch box up front. I was constantly rubbing this electrical junction taking in and out a liner bag with charging electronics and it was only a matter of time before it got pulled apart. I reconnected it and rearranged the items in the top box so that my softer sleeping bag was against this connection. 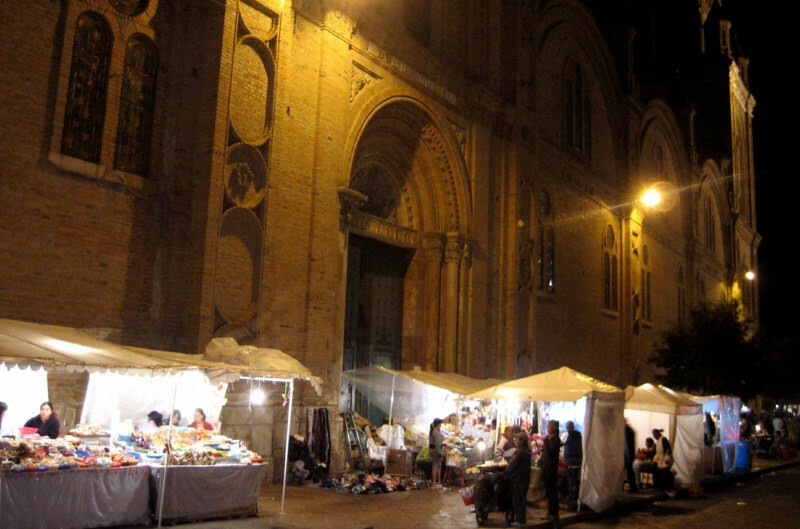 We then went on a day trip to nearby Gualaceo, about 20 kms (13 mi) east of Cuenca, known for their markets. 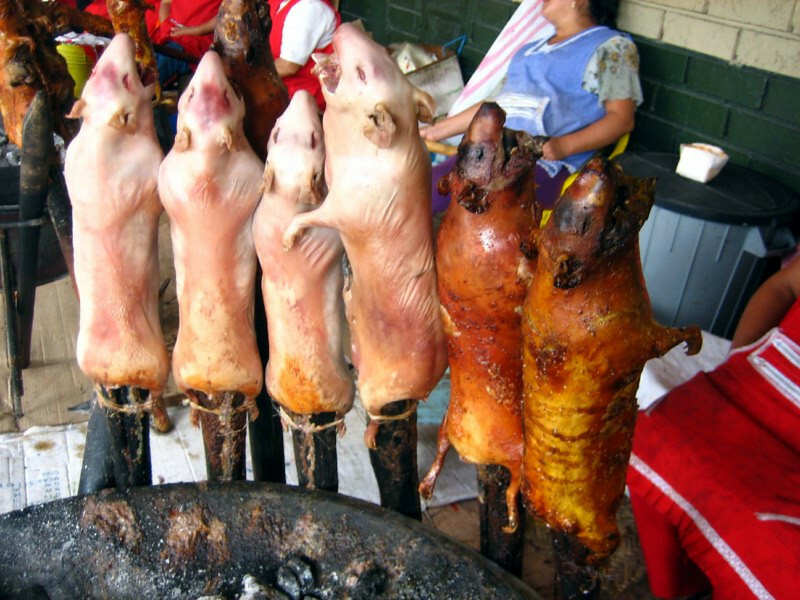 A well-roasted cuy (pronounced cu-ee) (guinea pig), a delicacy in the Andes. Skinned, speared and ready to roast. 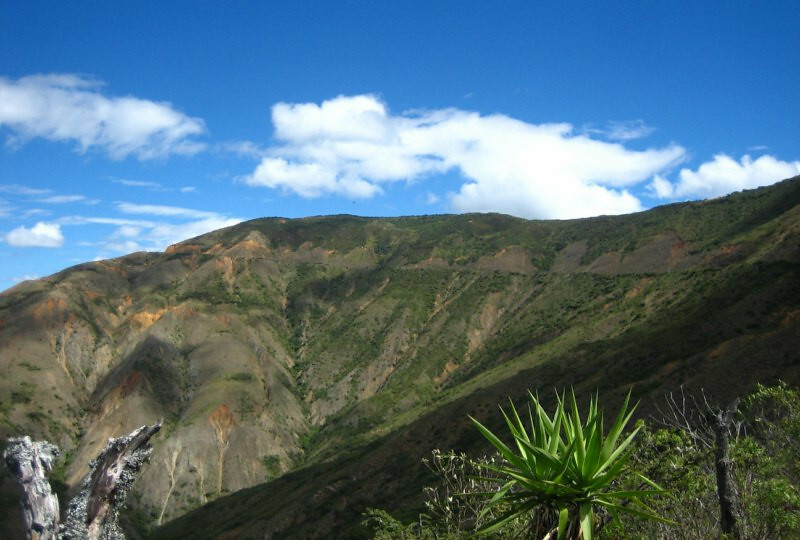 It might be a bit discomforting if you were brought up in the West, as guinea pigs are raised as pets, but in the Andes, they’ve been domesticated for about 5,000 years and the local people have been raising them for their meat ever since. 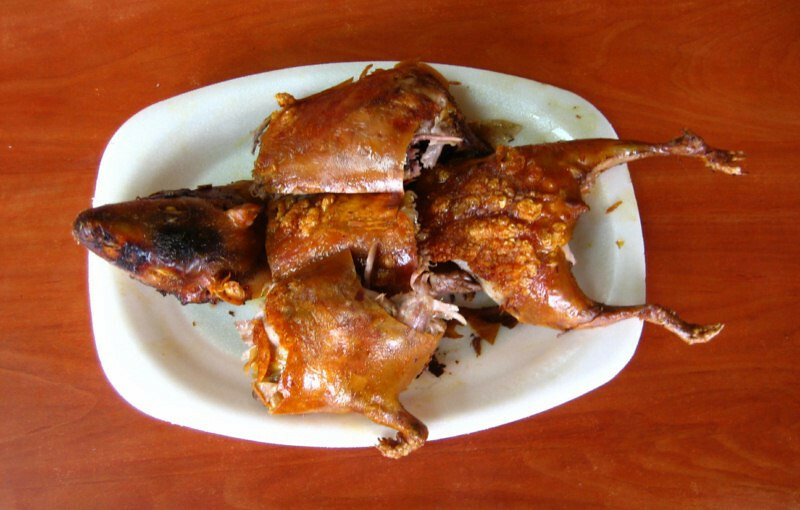 It’s a tender meat tasting similar to rabbit and the dark meat of chicken. There is very little meat, but what there is, is quite good. It’s high in protein and low in fat and cholesterol. The brains are presented to the guest of honor and it tasted like most other brains that I’ve eaten (chicken and goat), soft and mushy and quite fatty. The skin was quite good, as well. 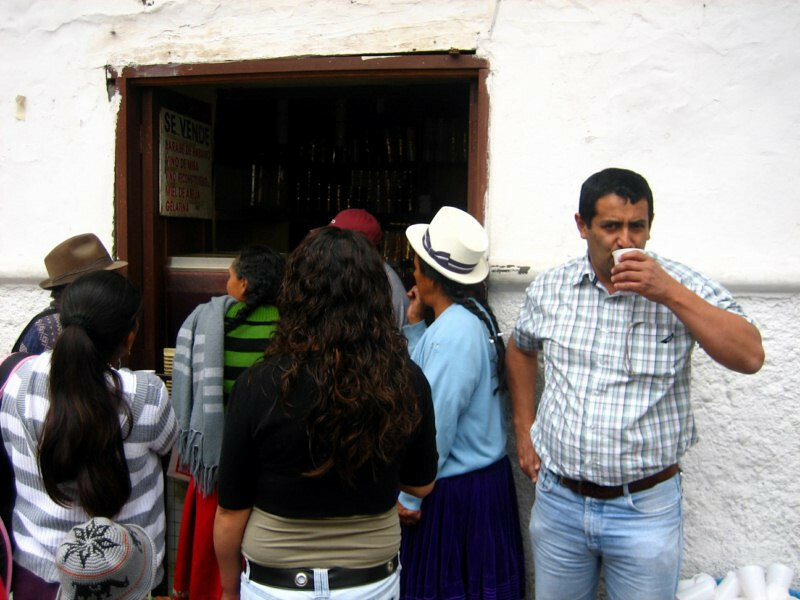 If you intend to try it, it’s cheaper in Peru. 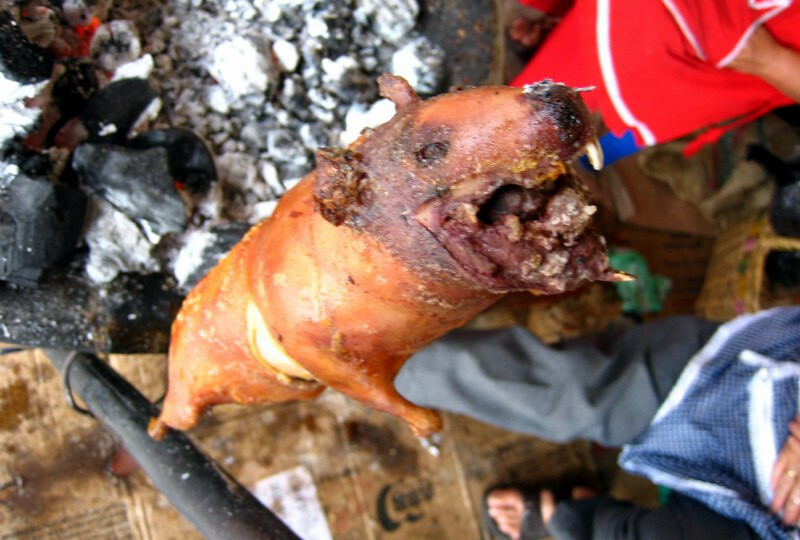 This roasted cuy cost $10 here. Mmm, I’m loving this guinea pig. 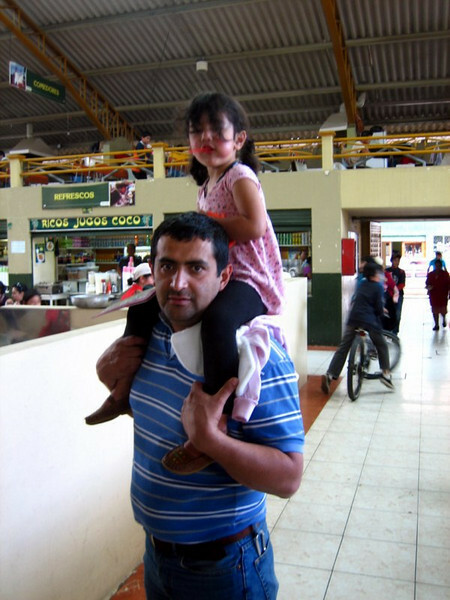 Juan and his lovely little daughter in the mercado (market). 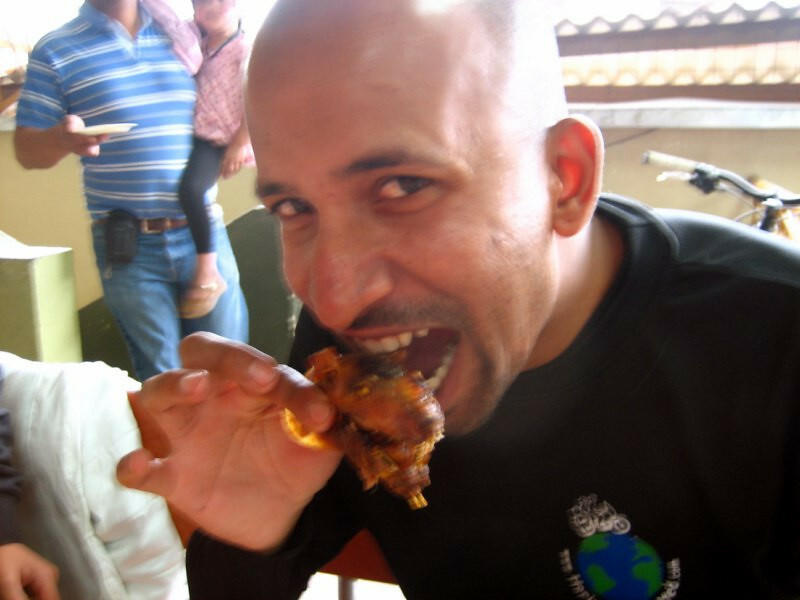 Juan is a mining engineer, working for a Canadian company. 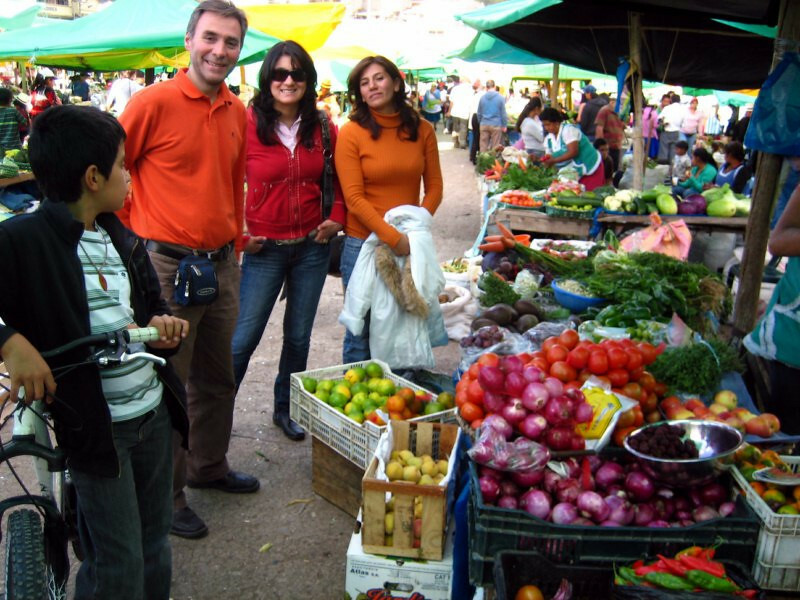 Taking a walk through the Sunday market in Gualaceo. Juan’s son, Riccardo , Juan’s wife, Angelica and her sister, Lorgia. The central plaza was quite charming with well manicured trees. 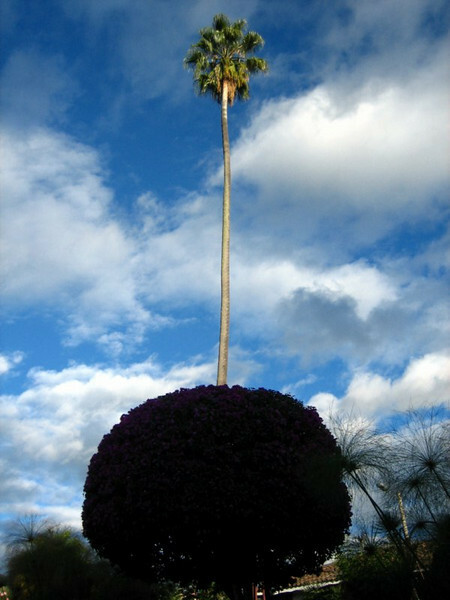 A super tall pine behind a bushy tree. The whole crew at the main plaza in Gualaceo. 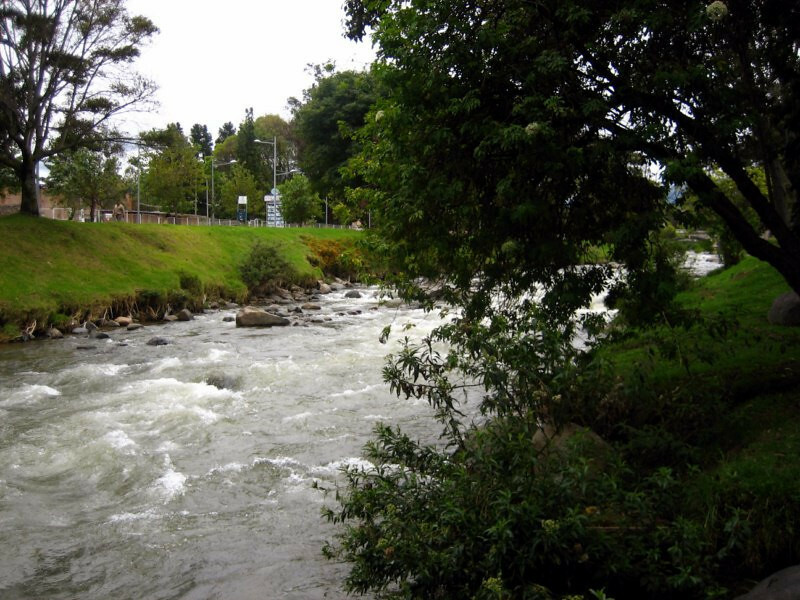 We finished our visit with a walk by the river, which looked quite swollen, flowing full. 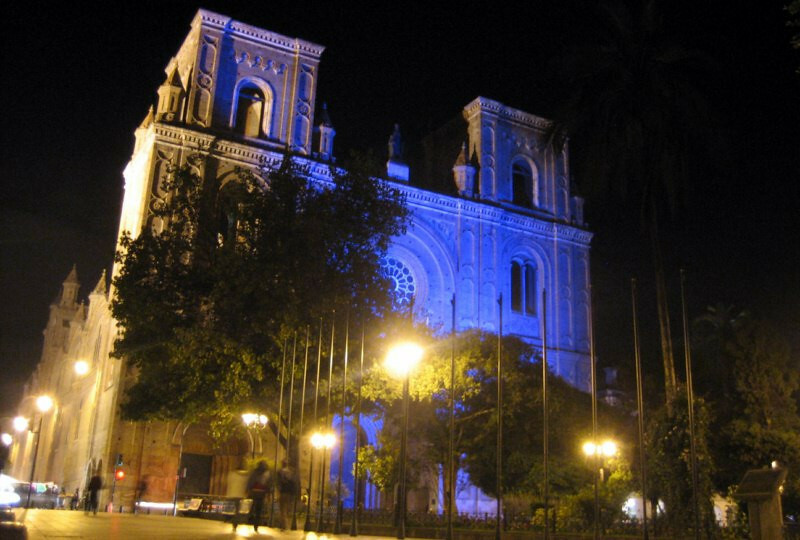 The new cathedral of Cuenca in the main plaza at night. 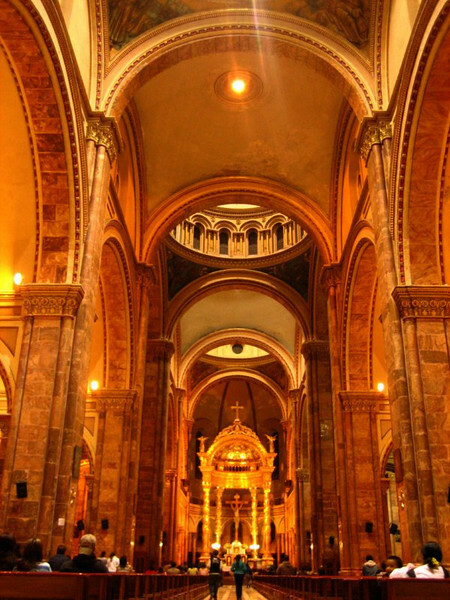 It’s quite grand on the inside with cavernous domes. 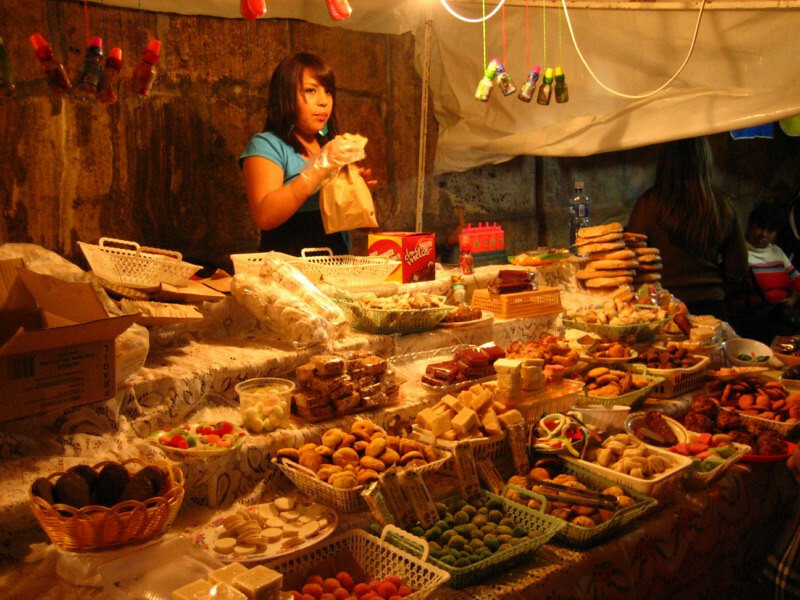 Luck be it that we were there during the annual confectionary festival, held next to the cathedral. Everything looked so good. I sampled a variety of sweets and chocolates. 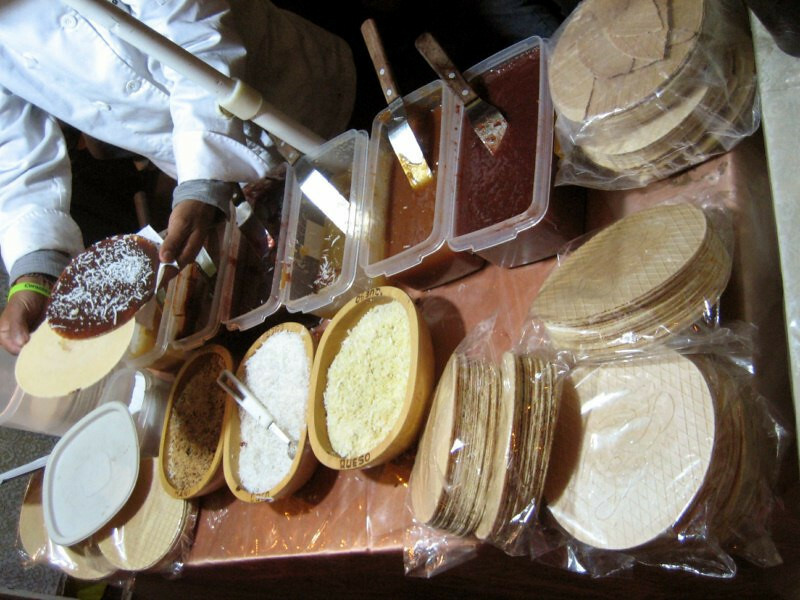 A typical desert of a crunchy tortilla (crepe) with various spreads, such as Nutella and toppings of nuts, coconut, etc. Breakfast at Juan’s house. Riccardo took off a day before me as he had to pickup some items in a different town before continuing south. 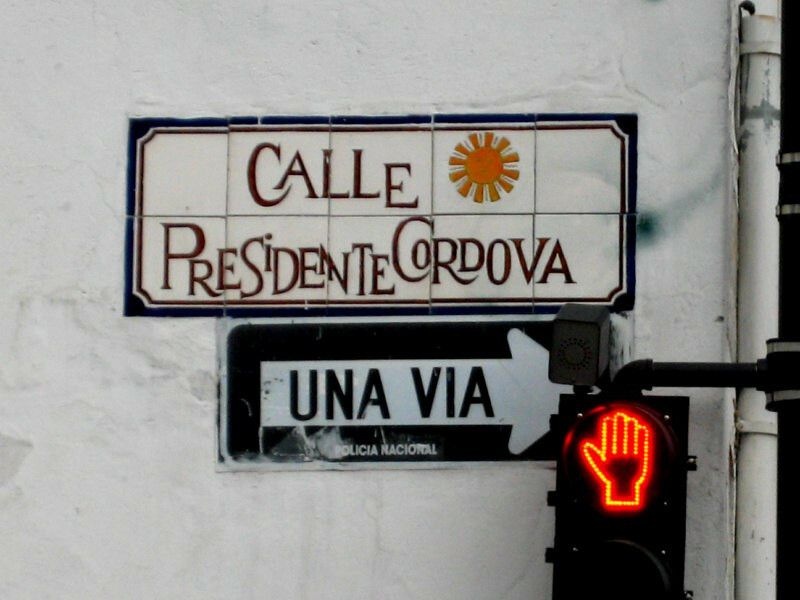 We agreed to meet up again along the way or when I make it to Santiago. 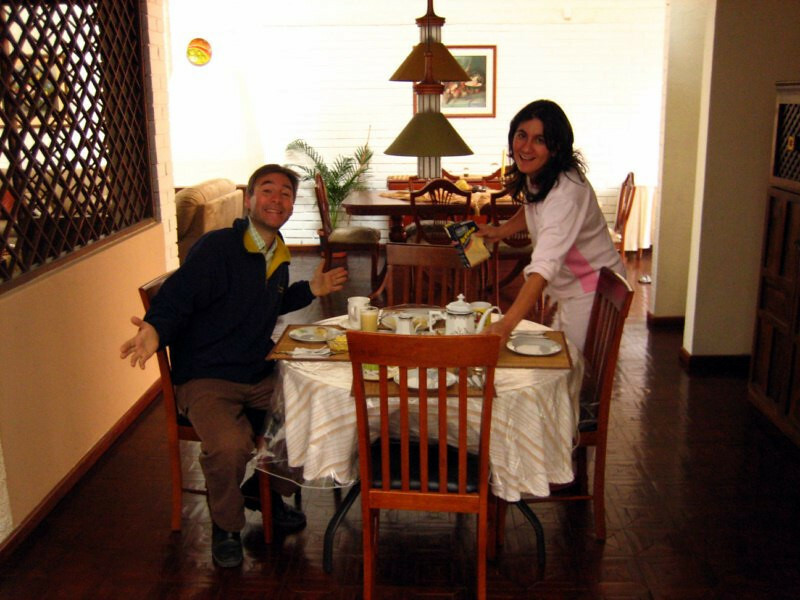 Angelica prepared a variety of tasty eats during our stay. 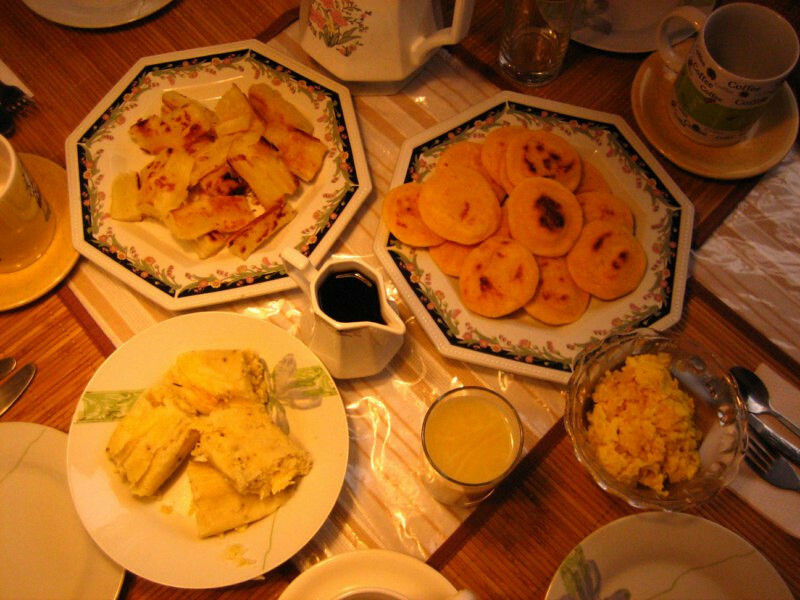 Upper left: fried yuca, UR: arepas, LL: steamed corn (choclo). Lots of corn products, but they tasted different and very agreeable to my taste buds. 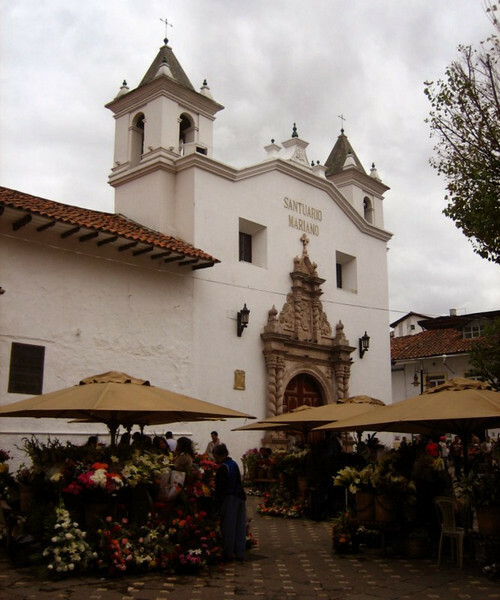 Taking in the weekday flower market in front of the Santuario Mariano. 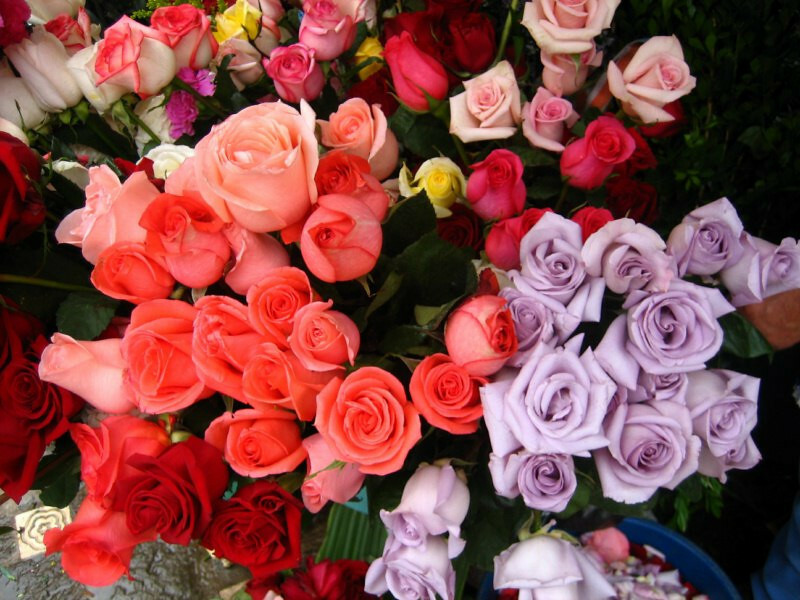 A nice variety of roses and other flowers. Juan having a flower tea. 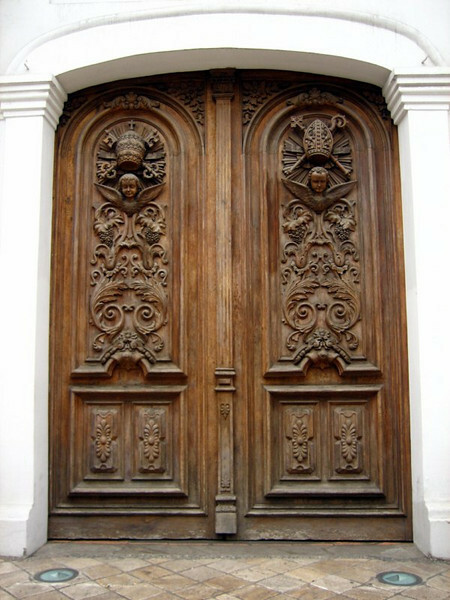 Intricately carved door of the original cathedral (built in 1557). 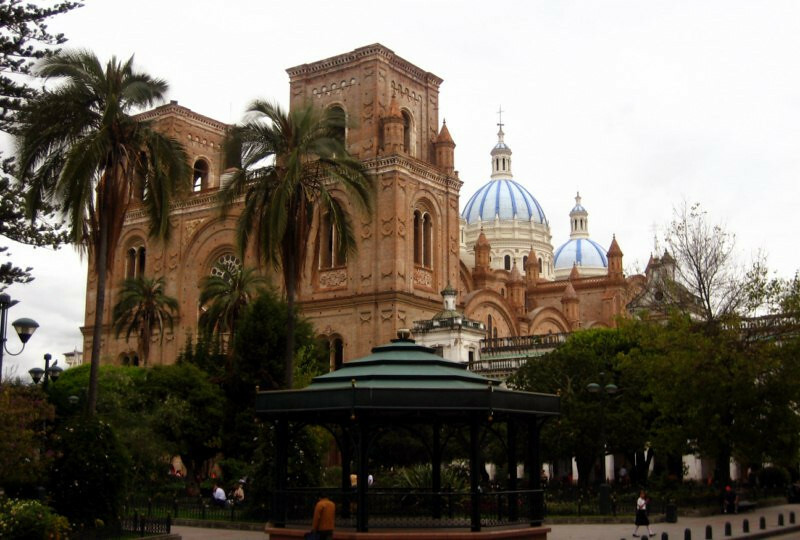 The new cathedral (1885) with its blue domes in front of Parque Calderon. Interesting stone work and nice colors. 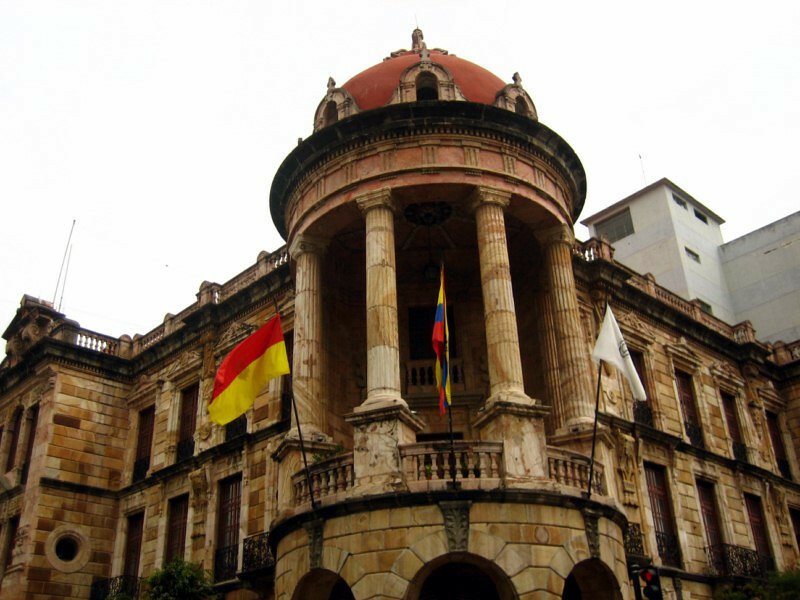 It was pleasing to walk around historic Cuenca, lots of nice stone work. 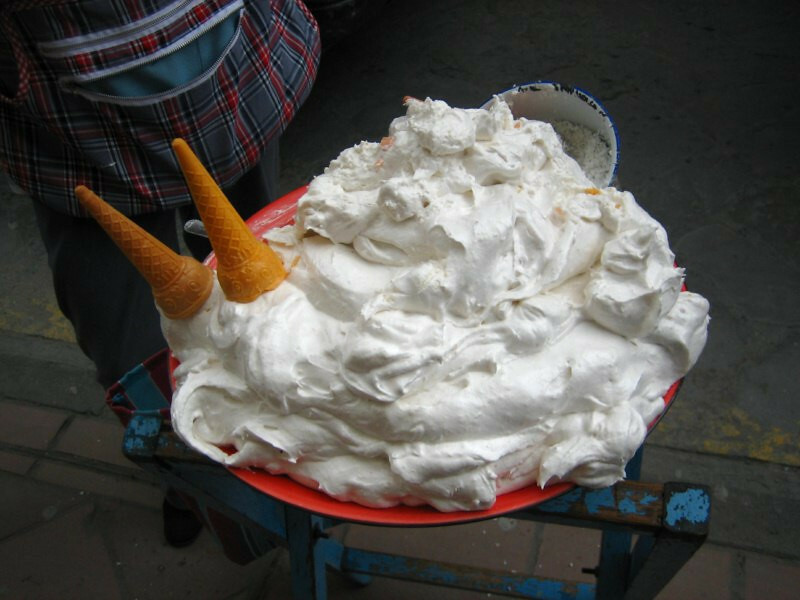 Mmm, meringue in a cone (whipped egg whites, sweetened). And look what’s hiding under the cover. It’s a Classic Mini Cooper in the same color scheme as the one I had in Chicago. 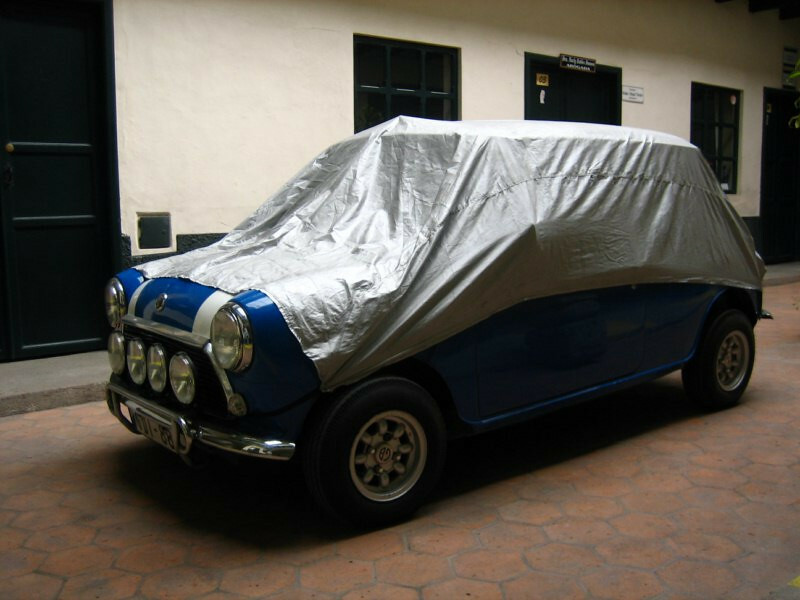 Juan said one of his friends is part of the Mini car club in Cuenca but he was out of town. 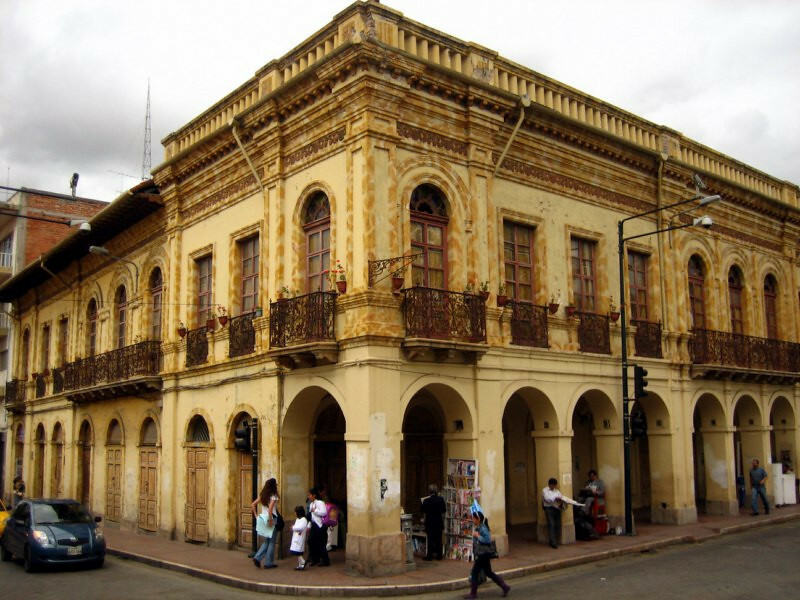 Cuenca is defined by the four rivers that flow through the city. There’s green space around each river for jogging and cycling and it’s easy to see why many ex-pats choose to settle down here. 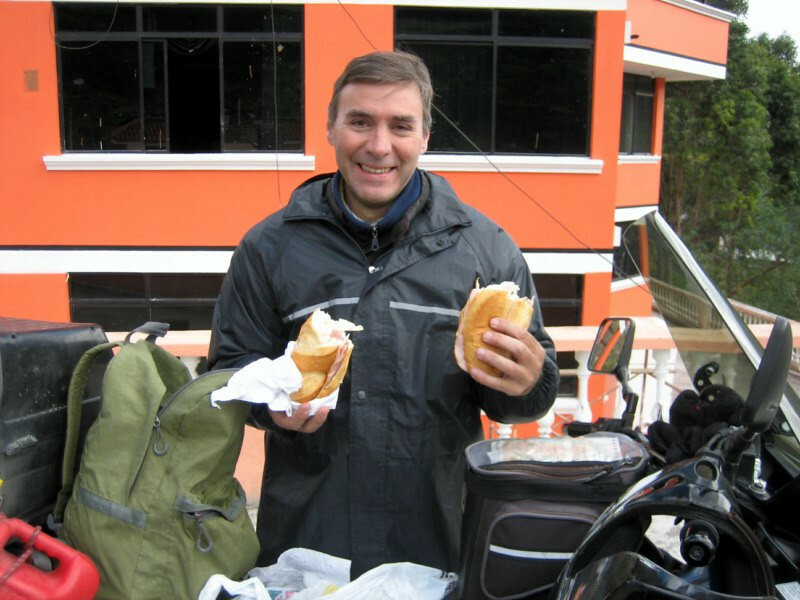 Heading out with Juan for a day trip to Parque Nacional Cajas on the way to Guayaquil. It’s defined by its misty mountain tops and over 230 lakes. 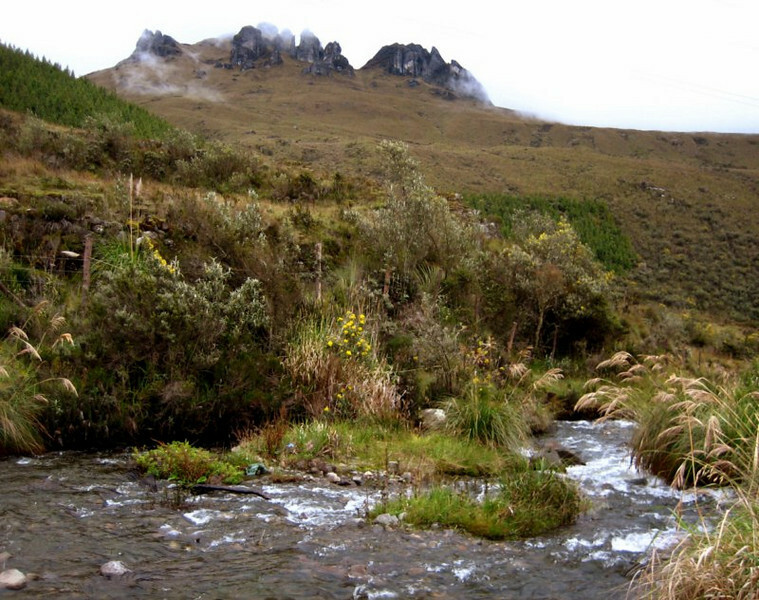 Elevation is around 3,350 m (11,000 ft). 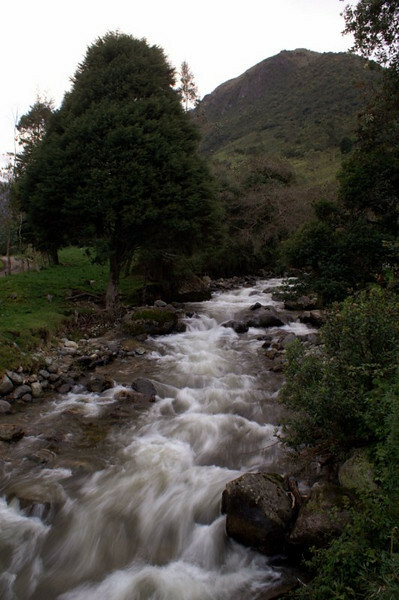 Clean rivers rushing under misty peaks. A closer look at the misty peak. Can you see the image of the Virgin Mary in the rocks? 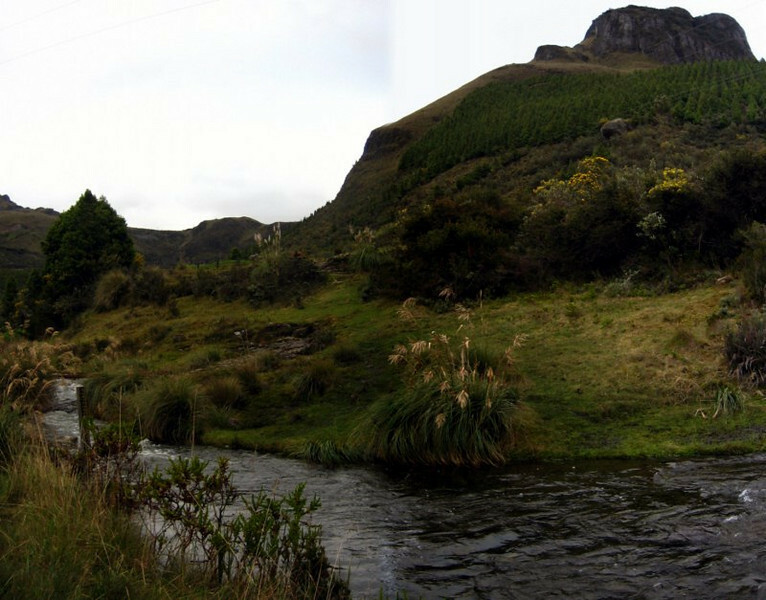 Panorama of Parque Nacional Cajas. The lust setting looked quite inviting to go on some hikes. 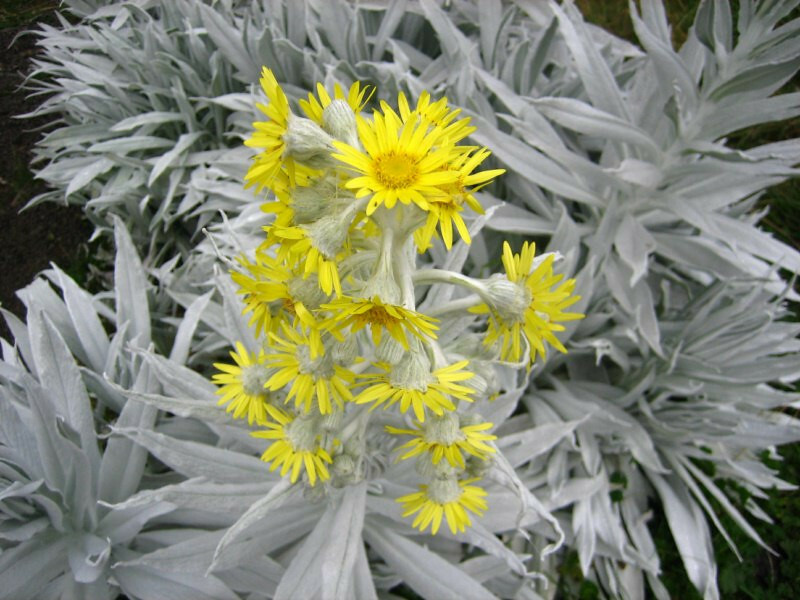 White, fuzzy plants with bright yellow flowers. 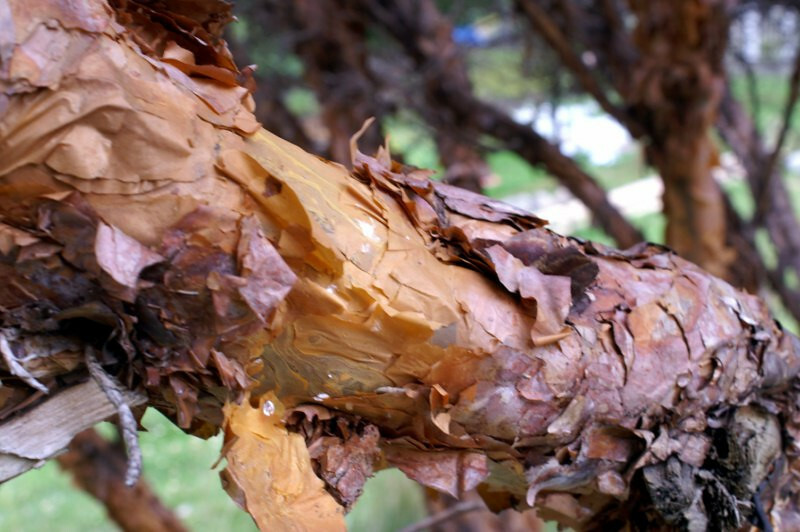 A local tree with bark that flakes off like paper. 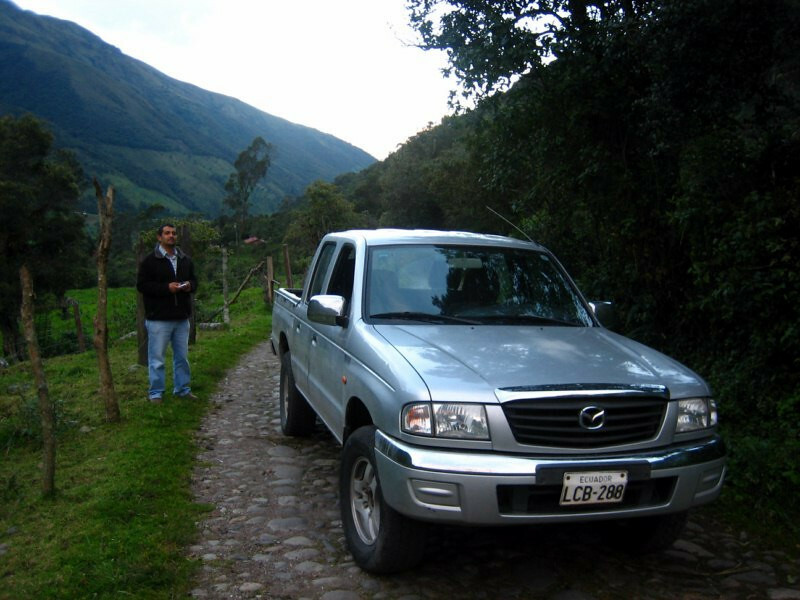 Juan with his Mazda truck that we went around in. These are very popular down here. 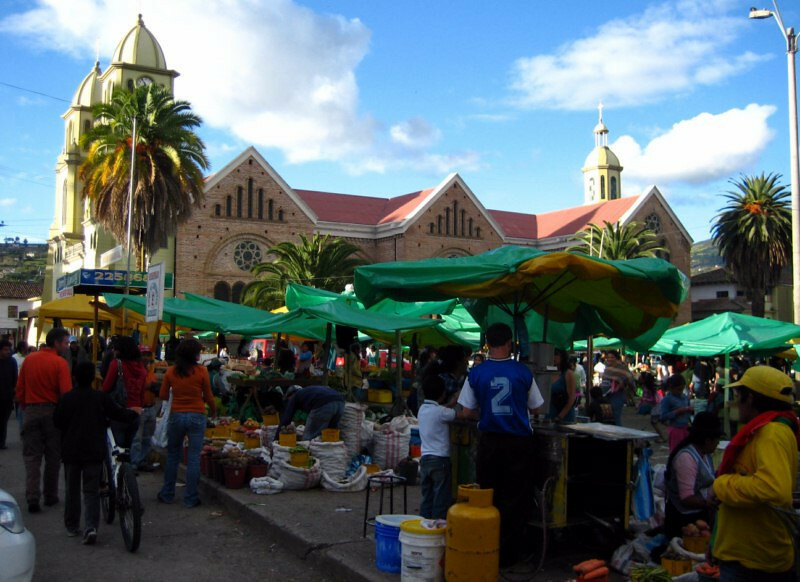 He said the Chevrolet Luv is the cheapest of the 4-door pickups, then the Mazda, topped by the expensive and well-reputed Toyota Hilux. Leaving Juan’s house after a wonderful few days in Cuenca. Good luck on planning your Alaska trip. 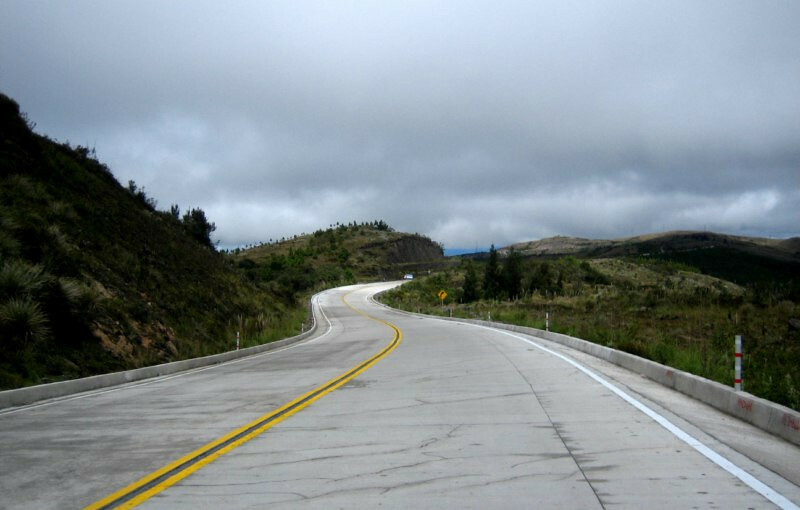 Ecuador has lots of new concrete roads. On the one hand it’s good cause they’ll last longer, but they are more expensive, and I don’t like them as much since they’re not as smooth as asphalt roads and produce more road noise. 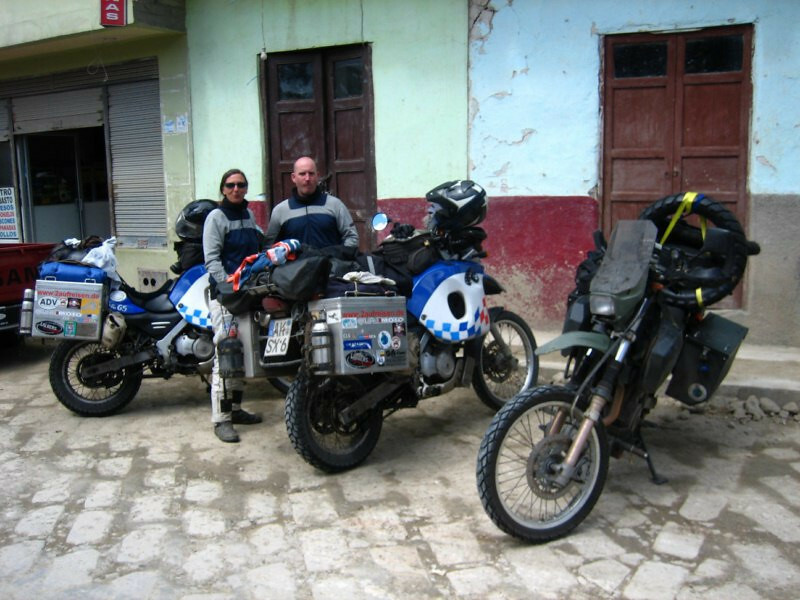 I was taking a break by the side of the road when Holger and Anja pulled up on their BMW F650GS’s. 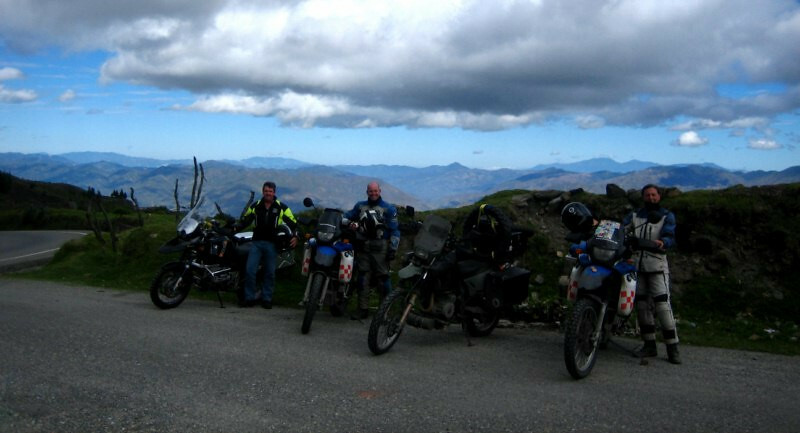 They’ve been riding around the world since 2007 from Germany and we rode together to Loja for the night. Lunch stop in Saraguro. They come from a small town near Cologne and Holger’s a school teacher and Anja’s a modern dance instructor. 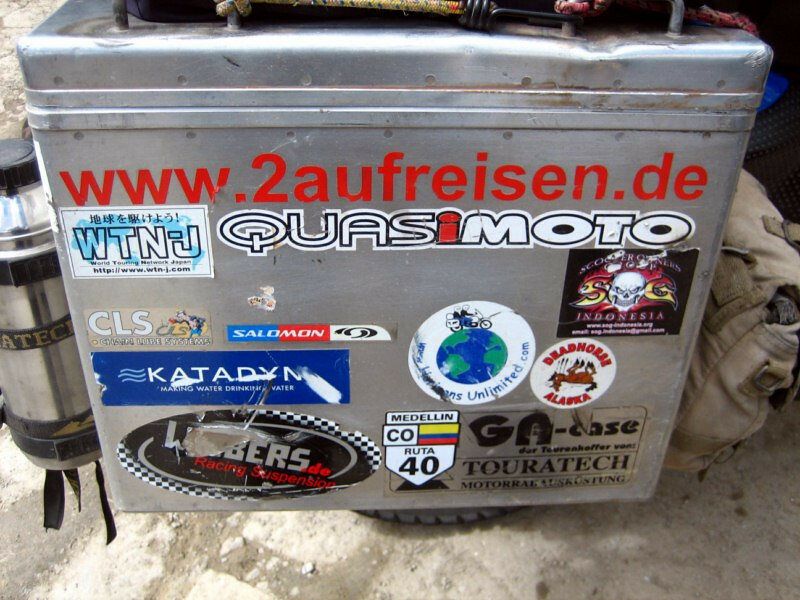 Their trip website is www.2aufreisen.de, which means 2 who are traveling. 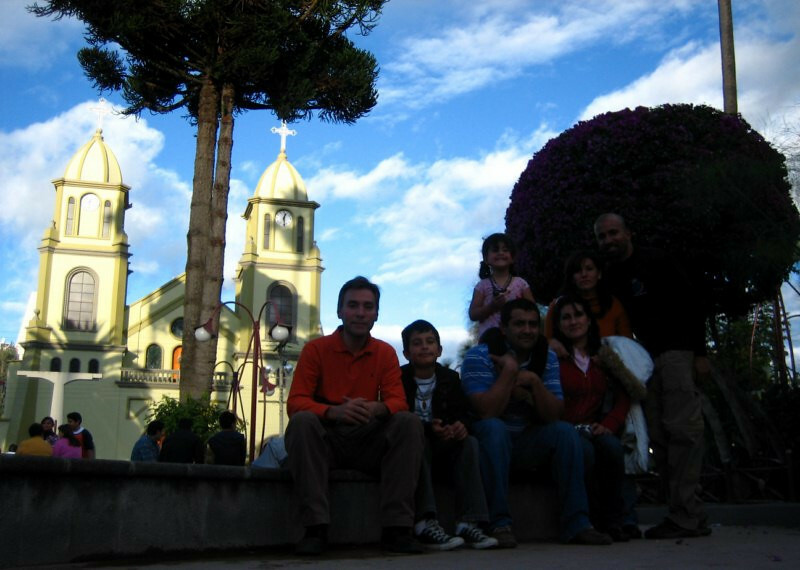 I spent the night in Loja with Roberto from the local HorizonsUnlimited community. 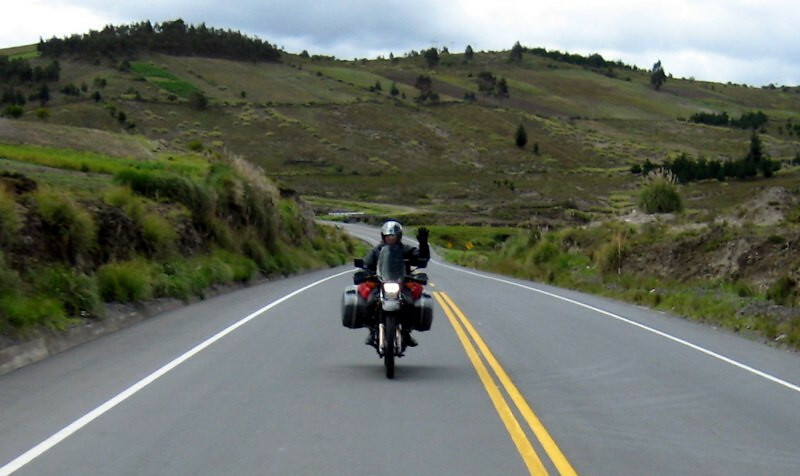 He rode his BMW R1150GS down from Washington, DC and took the Stahlratte just like me across the Darien. We’re picking up Holger and Anja from their hostel. 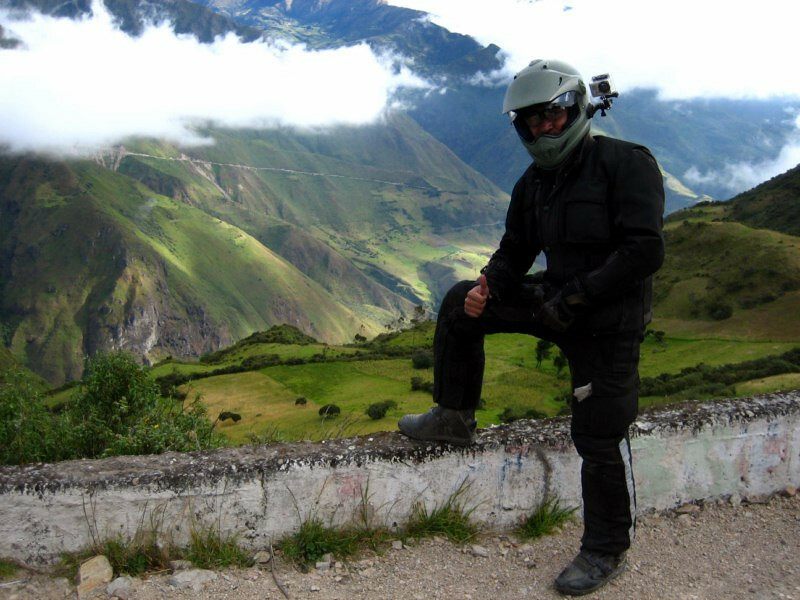 Roberto leading us out of town towards the Peruvian border. The 3 BMWs showing love to the ‘Zook. Anja on her BMW F650GS. They were setup identically to reduce the number of spares to carry. They did have a few rear shock failures and were carrying a spare shock. They had the expanded Touratech gas tanks giving them a total capacity near 38 liters (10 gallons). We all filled up with Ecuador’s cheap gas ($1.48/gal) before crossing into Peru. The landscape of southern Ecuador getting hot as the elevation dropped and the lushness withered away to dry lands, an indication of the scenery ahead in northern Peru. 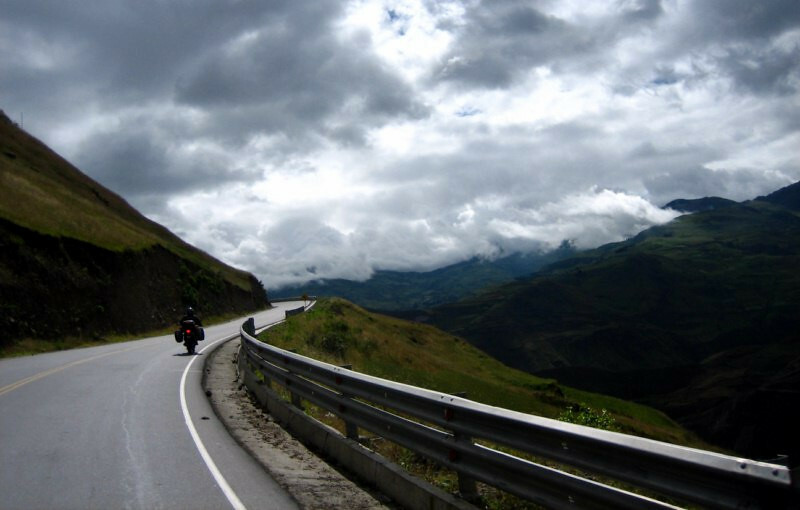 Ecuador was a delight to ride through. 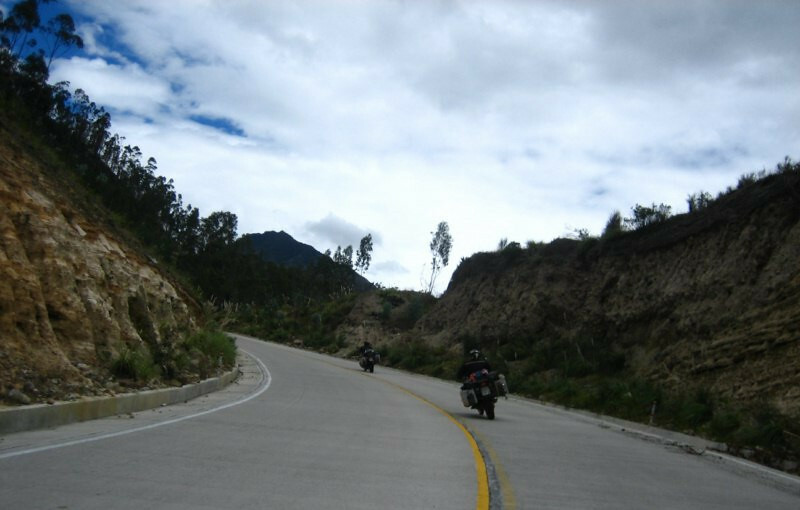 I enjoyed all the high mountain roads, dotted with volcanoes and misty mountains. There’s more to explore here and with all the nice friends I’ve met, another visit in the future is likely. Beautiful landscape Jay! And the pig look awesome!!!! Very authentic. The only time I’ve ever had brains was at an Indian place on Devon… I think you were there actually 🙂 Goat Brains 🙂 Looks like you met some nice travelers. Enjoy the rides! 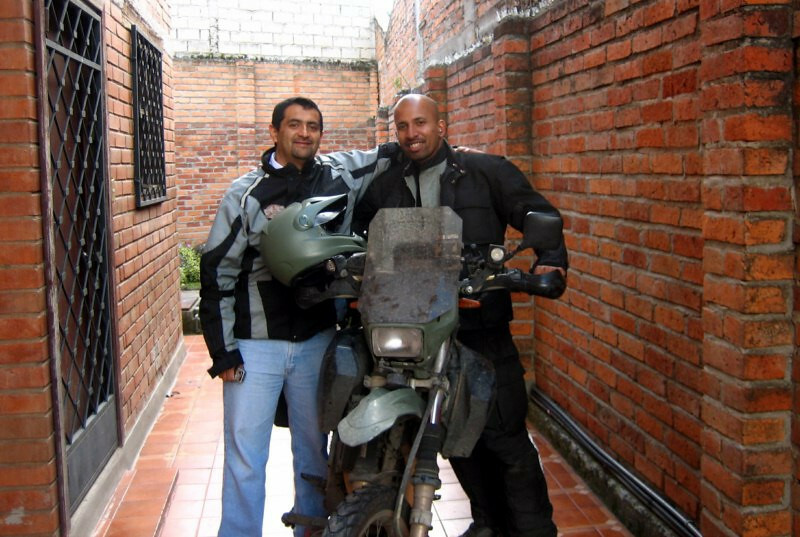 Hey Jay, this is Augusto, from Loja, Ecuador, I’m Roberto’s cousing and he told me about you and your trip, I’m glad you enjoyed my country and had pleasant time, if you ever come back it would be great meeting you and having a couple of cervezas and a nice chat. Best of luck and drive safely. @V: thx man. 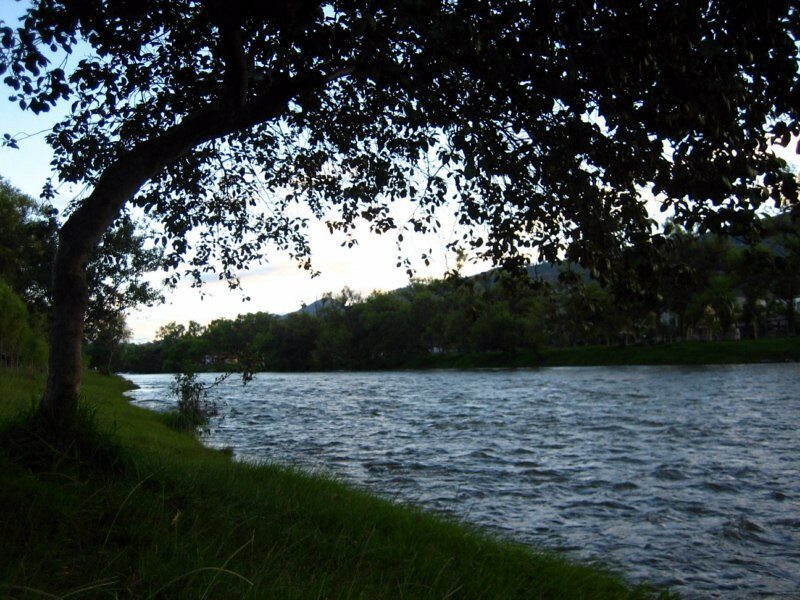 Yeah, Ecuador was really beautiful. Haha, I knew you’d like the pig. It’s right there in the open. Take a bite :p Yup, I remember having that goat brain curry with your friend. Mushy, but tasty 🙂 Cheers bro. @Augusto: Hola amigo, thanks for invitation. 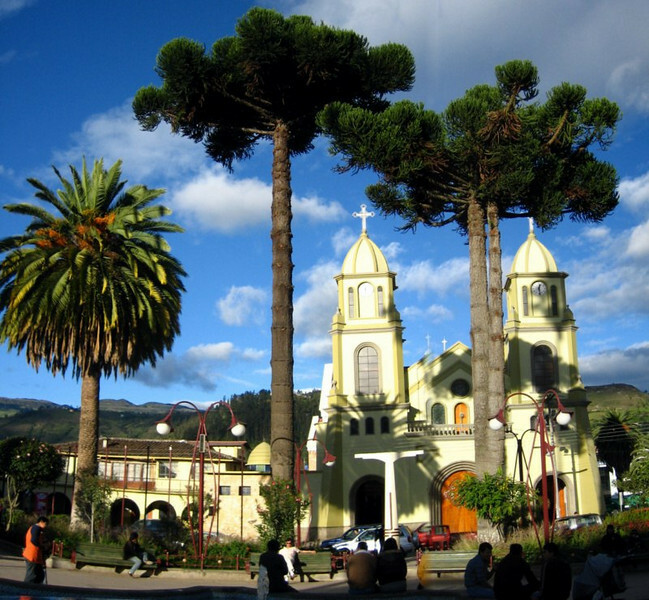 If I am back in Loja again, I will look you up. Cheers.